OPEN CINEMA enables any community to have a cinema. We coordinate an international network of community cinemas, a range of participatory filmmaking programmes, and make films for organisations advocating on issues of social or environmental importance. 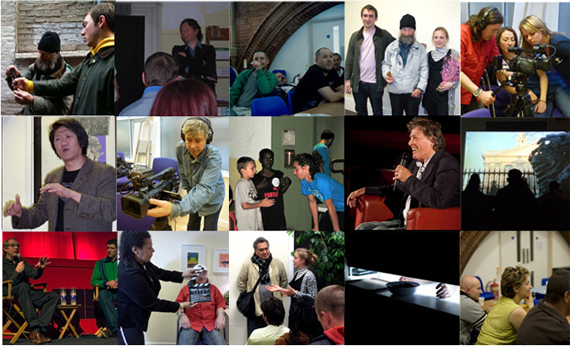 Since 2009 we have launched 45 film clubs in some of the most challenged communities in the UK and Ireland. In 2018 these hosted 1144 screenings, 17160 individual admissions, and 8580 volunteer-hours. The venues have received over 200 experts from the film industry, from universities and companies in a broad range of fields. The filmmaking programmes have now produced 77 participatory and advocacy films. Welcome to the Foundation website. You can follow us via the links below, or get in touch on the Contact page, to find out how we can help achieve the goals of your community and advance the lives of your participants.